We were thrilled when the American Society for Biochemistry and Molecular Biology asked us to host an event with them during the Experimental Biology (#EB2012) conference this month in San Diego, see descriptions of it on the SDBN blog and ASBMB website. The event will focus on improving science communication (#SciComm), and as you know we’re big proponents of using new media towards this end. We’ve seen some spectacular examples of scientists and organizations using new tools to reach their peers, the public, and even to get funding. Here, we highlight great examples of new media science communication, and invite those who will be attending the #EB2012 event (#EB2012Tweetup) to share their own stories. #IAmScience. Kevin Zelnio, a freelance science writer who blogs for the DeepSeaNews and Scientific American, started a meme on Twitter around non-traditional paths to becoming a scientist. He found that many scientists described surprisingly diverse paths to becoming a scientist, fueled by passion more than genius (see the video of the Tweets). He thought that the collected stories would make a great resource to personalize scientists and encourage those who are intimidated because they see a scientific career as a ‘one size fits all’ endeavor. He ran a KickStarter project to raise funds, and he was very successful so the project is underway. The personal side of science is being communicated by those who have some extra time to tell their story and Kevin’s passion for the project, and the book will be in electronic form with some print copies for inner city schools. #MyResearch. Great minds think alike, Vancouver professor Raul Pacheco-Vega started the #MyResearch hashtag on Twitter during the 2012 AAAS meeting in January to encourage scientists to describe their research. To date, more than 1700 status updates have resulted, and many tried to make their research understandable by laymen in 129 characters. In these first two examples, scientists have come up with easy ways that other researchers can take time out of their busy days to learn how to communicate and gain perspective, which is a big win. SciFund. We’ve covered this fantastic initiative in which researchers raise money for their work in this blog post and Twitter chat. Through the help of passionate founder Jai Ranganathan and the crowdfunding application Rockethub, scientists pitched their research to the public last fall and raised $76,000! While raising money for science is cool, Jai admits he has a hidden agenda for the initiative, namely to help scientists learn how to communicate their research to the public. We’re soliciting questions about #SciComm from those registering for the #EB2012Tweetup, and several want to know how to achieve a balance between being accurate and capturing the attention of readers. Jai has done some analyses on which campaigns were the most successful, and sees that, perhaps not surprisingly, the number of pageviews correlates to the amount raised. Further, he finds that the size of network of the scientist directly relates to the amount of funding they raised, pointing to the importance of this facet of #SciComm. SciFund will begin again in May 2012 and we will watch its progress via their blog. Great blogging networks. Where do we begin here? We scratched the surface on science blogs in a recent post about life science networks. They not only do a superb job of translating complex science for thousands of readers, but they also discuss the important issues surrounding science communication. Perhaps a good way to get a handle on them is to visit the website for their biggest IRL (in real life) gathering, ScienceOnline. Read the discourses on science communication on the blogs to get an overview of their role in advancing the topic, and follow the #scio12, #scio13, and #SciComm hashtags on Twitter as well. Also, it’s always a good bet to start from the source, and follow Bora Zivkovic aka the ‘BlogFather,’ and the Scientific American (#SciAm) blog network he helped develop. Supporting life science organizations. We were not surprised when ASBMB approached us about the event at #eb2012 because we’ve been communicating with Angela Hopp, editor of ASBMB Today, on Twitter. ASBMB supports science communication through this publication, sometimes inviting bloggers and Twitterers to contribute. We’ve also had great experiences with the American Chemical Society, whose success with social media, including a great blog, encourages life scientists to participate in new media as well. We had a great time catching up with them at the latest ACS meeting in San Diego, and the number of Twitter status updates almost doubled in number compared to the last meeting (internal data). Great work guys! Equally impressive are the folks at Nature. They not only have great blogs and are active on Twitter, they support regional science online discussion groups in London, New York and they’re expanding to the US west coast as well. Scientists using new media. We see great conversations happening on Twitter every day, from scientific discourses to daily encouragement. We see scientists who want to help their colleagues communicate better, a stellar example is this blog about creating better poster presentations by Zen Faulkes (the Comic Sans font used in the image is a hat tip to them, as they like to make fun of it). Clearly, new media tools make it easier for scientists to communicate with each other, and they’re doing a fantastic job. While it is hard to measure the benefit to the field, it is surely multiplied when more researchers and professionals decide to get involved with new media. 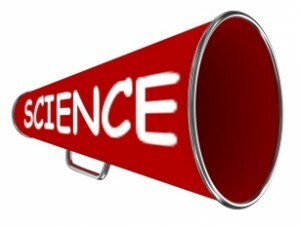 If you use new media for science communication and are attending the event at #EB2012, we want to hear your success stories! Please think about how your blog, Twitter discussions, or the use of other online tools have helped you in the areas above, and write about it. Leave a link in the comments below or tag a Tweet with the event hashtag #EB2012Tweetup. We’ll highlight the stories online and at the event. We’re also looking forward to meeting you all April 23rd! Special thanks to Geoff Hunt for helping organize this event and to New England BioLabs and Mendeley for sponsoring.